Steve Carell has clearly found his muse, if not the title of his next movie. We hear Carell plans to team up gain with Dan Fogelman, the screenwriter of his forthcoming movie, Crazy, Stupid, Love, to make another Warner Bros. comedy called Imagine, on which Fogelman (the writer of Pixar’s Cars and Disney’s Bolt) would make his directing debut. In Imagine, a sixty-something Bruce Springsteen-type rocker discovers a long-unopened letter addressed to him from John Lennon; after reading it, he’s shocked to learn that he actually fathered a son, who’d be played by Carell. 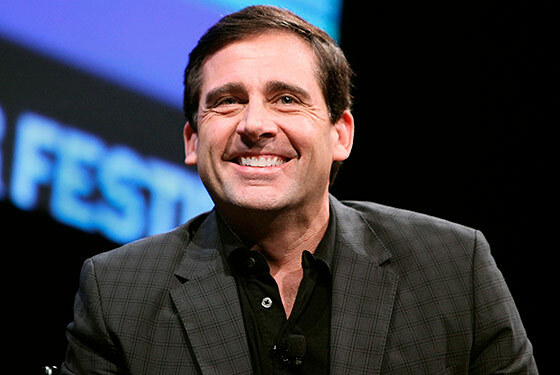 Meanwhile, Carell’s Crazy, Stupid, Love is getting a new title. After focus-grouping the marital comedy, it’s being changed to … wait for it … Crazy. Stupid. Love. At least, that’s what it is for now, say our sources. It’s not ideal, and so it may change again. Which raises these questions: 1) Who knew Middle America had such strong opinions about punctuation? ; 2) Can we call it a “period comedy”? ; and 3) If you don’t like Crazy, Stupid, Love or Crazy. Stupid. Love. — then how would you punctuate its title for maximum comedic and/or marketing effect? Go discuss.